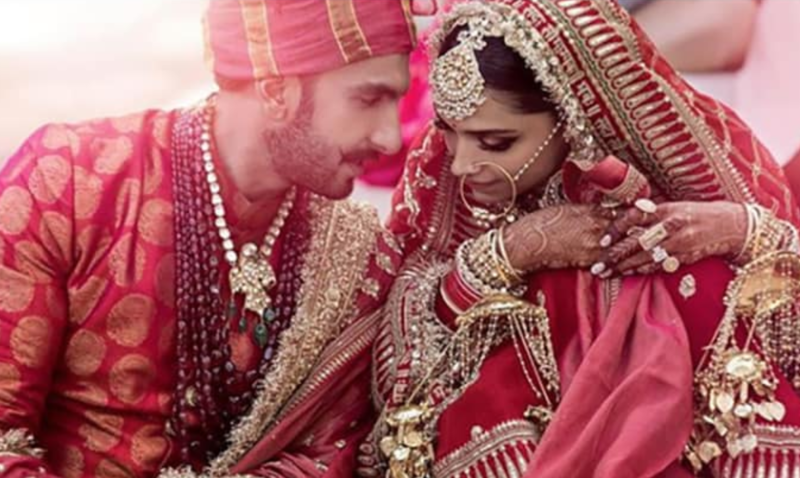 The wedding was a two-day affair with local media reporting that two ceremonies took place, a Konkani ceremony on Wednesday followed by a Sindhi one, to reflect Padukone and Singh’s backgrounds. For Wednesday’s ceremony, Padukone wore a red and gold sari. The photos end months of speculation in Indian media about the bride’s choice of outfit. As predicted by fans and industry insiders, it was the work of one of the country’s top designers, Sabyasachi Mukherjee.